President Donald Trump’s White House on May 8 declared that it was withdrawing from the Iran nuclear deal, also known as the Joint Comprehensive Plan of Action (JCPOA), negotiated between the five United Nations Security Council members and Germany with Tehran. The retraction of the US brought a sudden, ill-advised end to one of the major victories of diplomacy in the recent past, as Western powers agreed to a compromise with Iran over its nuclear program. The US withdrawal was met with contempt by Washington’s European partners and negotiators, with countries such as France leading the charge of attempting to build a political and economic ecosystem to try and salvage the deal. Chabahar port has already, as of this year, started to act as an alternative route for Afghan exports that currently rely on the port city of Karachi. India now has to tread carefully. Contrary to popular belief, the Obama administration was not lenient in any way with New Delhi during the initial period of American and UN sanctions, which were designed to bring Tehran to the negotiating table. Despite then Prime Minister Manmohan Singh’s personal relations with Barack Obama, India faced immense pressure to bring its biggest trading commodity with Tehran to a halt, oil. India is one of the fastest growing developing economies in the world but has some of the world’s lowest per capita consumption of energy Oil and gas are expected to remain its main sources of energy for the next two decades at least. As a net importer of oil, New Delhi has relied on Iran’s massive reserves of hydrocarbons to fulfill its annually burgeoning oil needs, and where there is oil, there is politics. Before the sanctions, Iran was the second largest supplier of oil to India, a country that imports nearly 70 percent of its oil and around 55 percent of its natural gas demands. By 2013 however, Iran had fallen to seventh place. Not just a mere buyer, India initially had even committed $3 billion to develop the Farzad B project in the natural gas Farsi block, a field discovered by India’s state-owned ONGC Videsh Ltd (OVL), a sign of Delhi’s growing energy diplomacy with Iran at that time. This opportunity offered both transportation and cost benefits due to its close proximity across the Arabian Sea and the possibilities of an under-sea pipeline. Most importantly, the Iranian quality of heavy crude oil was most suited for Indian refineries such as those operated by MRPL in Mangalore, Karnataka and Essar in Jamnagar, Gujarat. Energy ties between Delhi and Tehran came under strain after Iran was subjected to United Nations economic and political blockades as a reaction to its nuclear program. The fact that India voted against Iran in 2009 did not help matters. Delhi also found itself in a position where Washington was applying pressure on it to forego energy transactions with Iran altogether. Iran’s survivalist approach to foreign policy and bilateral trade with its partners makes leveraging energy ties a difficult task. With the controlled opening of the Iranian economy, New Delhi was preparing to compete with global energy giants to get a larger slice of the Iranian reserves. 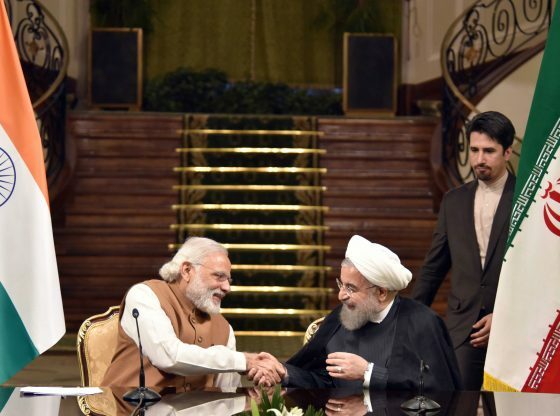 Tehran has sought to leverage this by giving different narratives on whether it still intends to give India precedence on projects such as Farzad B and even Chabahar port, as previously promised. It is imperative to remember that oil supplies from Iran, while important, are not critical to India’s energy security. While refineries such as MRPL were designed with keeping in mind the heavy oil quality of Iranian crude, India during 2008 – 2014 phase substituted Iranian oil with relative ease from other suppliers including Iraq, increased capacity from Saudi Arabia and even Nigeria and Venezuela. Meanwhile, in its current import mix, the US is also increasing its share as an oil supplier to the Indian market. From a geo-political and India–Iran bilateral standpoint, oil is critical to maintain a robust relationship. For India, Iran is important for its policies regarding Afghanistan, and by extension, Pakistan. Chabahar port has already, as of this year, started to act as an alternative route for Afghan exports that currently rely on the port city of Karachi. Chabahar is also expected to be a major energy point, both as a natural gas terminal and a landing point for the long-proposed India–Iran undersea gas pipeline and the planned International North-South Transport Corridor (INSTC) connecting to Central Asia. While India is often blamed over the slow-paced progress in developing Chabahar, former Foreign Secretary S Jaishankar has blamed Iran for changes in the terms of the agreements over the project, leading to the delays. India’s energy security relies on hydrocarbon imports. Despite American pressure, Indo–Iranian ties, with all their flaws, have managed to create their own autonomous bilateral constituency in the global order.